Apple’s App Store for the iPhone and iPod Touch, and soon the iPad, is a very hot ecosystem, with over 140,000 apps and over 3 billion downloads, garage millionaires and sky-high valuations for its ad networks. But a new report commissioned by Euro startup GetJar, the biggest app store after Apple’s, suggests this is only the visible part of the iceberg: in 2009, the number of “app stores” out there grew from 9 to 38, with more on the way. Developers and free speech advocates love to complain about Apple’s draconian App Store policies, but big companies love their curated, top-down “store” model for app distribution, as opposed to the freewheeling web (and Android’s lagging “market”), and are building tons of app stores of their own. So the real story of mobile apps might be what happens everywhere outside the Apple App Store. 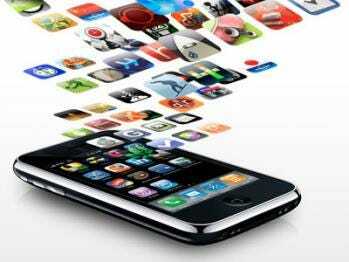 Mobile app downloads across handsets are expected to grow at 92% per year, to almost 50 billion in 2010. Overall revenue from mobile apps (including ads, payments, and in-app transactions) is expected to grow to $17.5 billion in 2012 from $4.1 billion today. In the future, apps will be (even more!) supported by advertising: the share of ad revenue is expected to grow to 28% in 2012 from 12% today. As GigaOm points out, although these ecosystems will grow hugely everywhere, the most interesting growth is happening in the emerging markets. While Asia and North America are currently the biggest markets, by 2012 the biggest market will be the Middle East and Africa region. In these countries, mobile penetration is very high, and often people only access the internet through mobile phones and are “leapfrogging” the wired internet for wireless. Emerging markets are high-growth environments in and of themselves, so combined with even higher mobile web adoption rates, these markets should have tremendous potential. The problem with many app stores is app distribution: how do you sift through the thousands of apps to find the ones you’re interested in. One startup which is tackling that is Paris-based AppsFire, which we’ve covered before.